Happy Memorial Day! 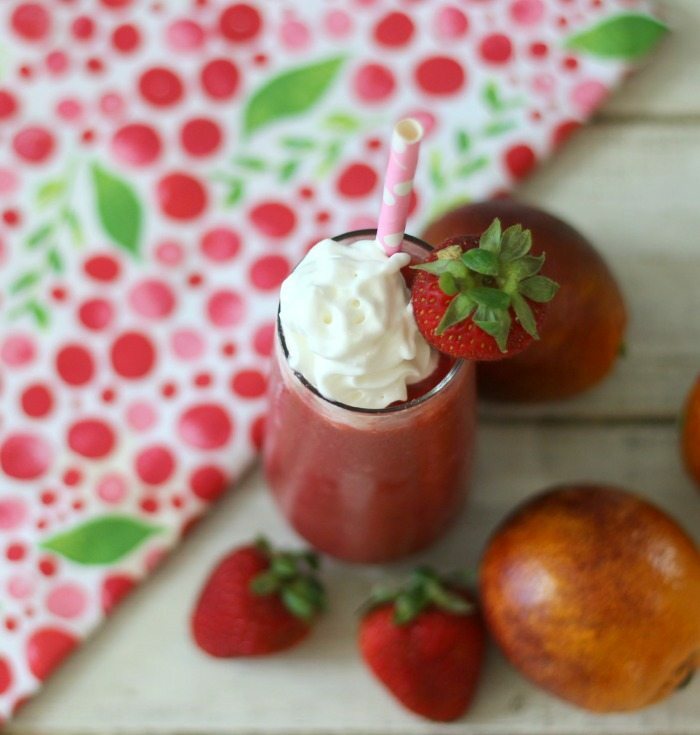 Today I am sharing with you a quick, seasonal drink that will sure to be a hit with you and your friends, plus perfect for celebrating Memorial Day. This is my Blood Orange and Strawberry Daiquiri. This weekend, my friend Marlene from Nosh My Way and I went to Berkeley to go shopping at the Berkeley Bowl. When I was shopping around the fabulous produce section, I saw Blood Oranges. They are grown in California and pretty much close to being out of season. I have a hard time finding them at my local grocery store, so I had to buy a few. Since it is a holiday weekend I thought I would treat myself to a little drink. I think blood oranges are so cool looking! I love the beautiful color of them. Have you ever had a blood orange? They are sweet and have a hint of raspberry flavor to them. I read online you should store them in the refrigerator. Don’t leave them on the counter or in a bowl like oranges. 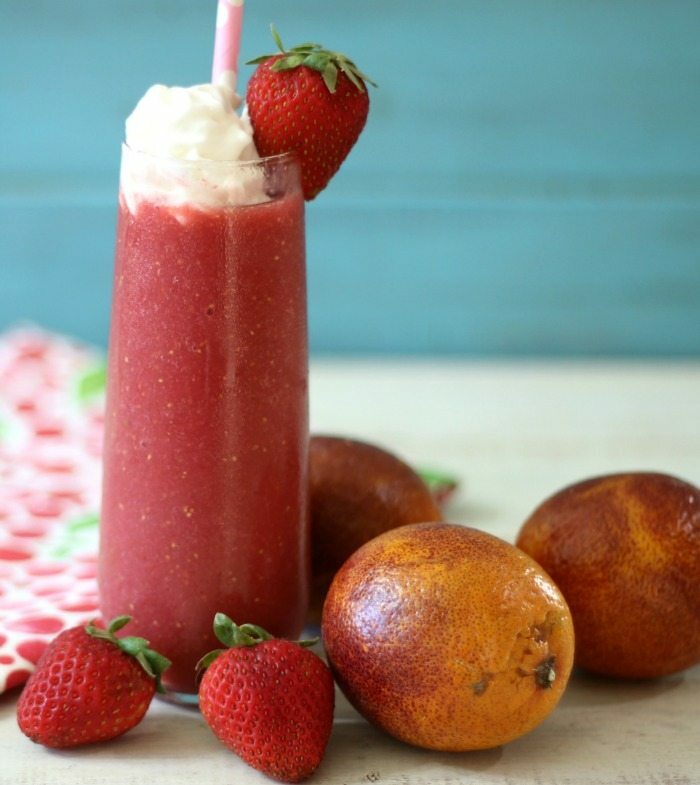 To make my drink, I added juice from 3 blood oranges, 1 1/2 cups of frozen strawberries, lime, sugar and Bacardi White Rum. I blended away and pour my drink into my glass and topped with whip cream. Personally I think a daiquiri is not a daiquiri without whip cream. 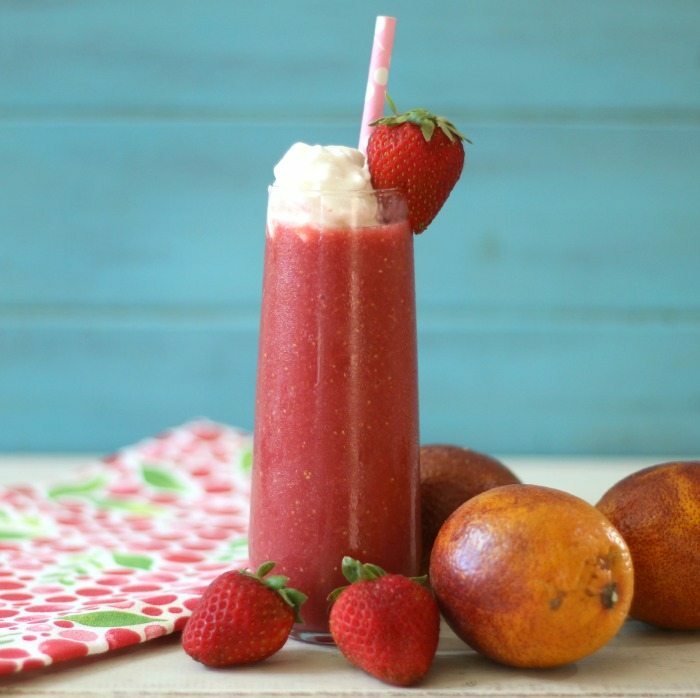 A light, fruity summery drink made with blood oranges, strawberries and rum. I hope you have a great Memorial Weekend! I have the day off from work, but I imagine I’ll still do some work in between baking. Great use of the blood oranges Jen. I had a fun time at the bowl with you. Hi Jennifer, this is just awesome, I must say. Thanks a lot for sharing this recipe.